The IATSS Forum Steering Committee comprises the main members of IATSS, as well as other forward-looking representatives. The Committee plans and implements forum policy and programs, serves as liaison with related government offices and foreign countries, and administers IATSS Forum as a whole. 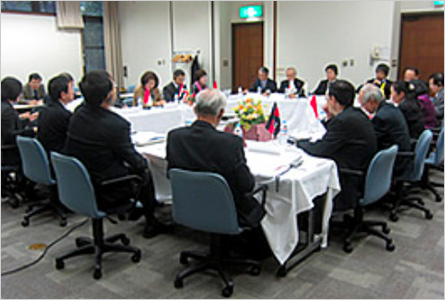 These committees operate in each participating country, and consist of forward-looking representatives from many walks of life. Activities of the committee include recruiting and selecting participants, orientation prior to their departure, public relations, and various on-site services in each country. This committee comprises the chairman of the IATSS Forum Country Committee and the main members of IATSS Forum Steering Committee. It advises the IATSS Forum Steering Committee on the administration of IATSS Forum from a medium- to long-term global perspective. For the further details of International Association of Traffic and Safety Sciences (IATSS), click here.